With a Skip Ticket+, there's no challenge that's unattainable! ・Skip Tickets+ will not be given from purchasing the Weekly Jewels Extravaganza. ★ The Equipment Cost Challenge is back! Challenge yourself by using as few medals as possible! ・This time there will be a total of 7 challenging quests where the equipment cost will be limited. ・By completing quest objectives, you can obtain rewards such as the Huey & Dewey & Louie EXP Medal and more! ・In addition, you can also earn Event Coins! ・You won't be able to use any Friend Medals, so come prepared! 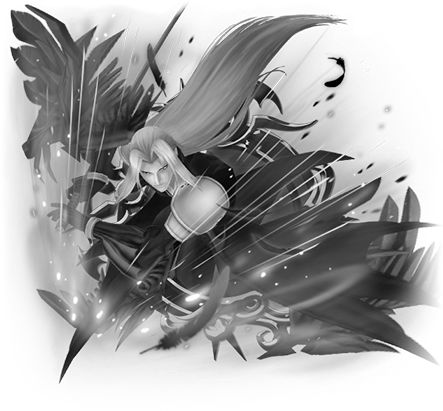 ★ Introducing the first-ever Supernova Medal: Supernova - Sephiroth! 7★ Prime - KH Cloud is also available within 5 draws! 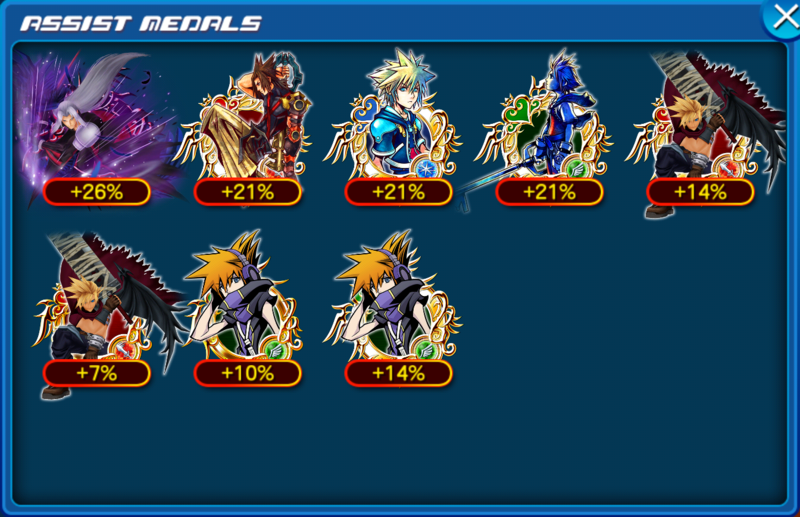 Supernova - Sephiroth is the first of the powerful new Supernova Medals! ・When you equip a Supernova Medal, once per quest you will be able to unleash its powerful Supernova! * You can activate the Supernova at any time during your own turn. In PvP Mode, activation timing will vary depending on the Medal when defending. ・You can use Supernova once per Supernova Medal equipped. ・A Supernova’s potency is determined by the strength of its Medal. 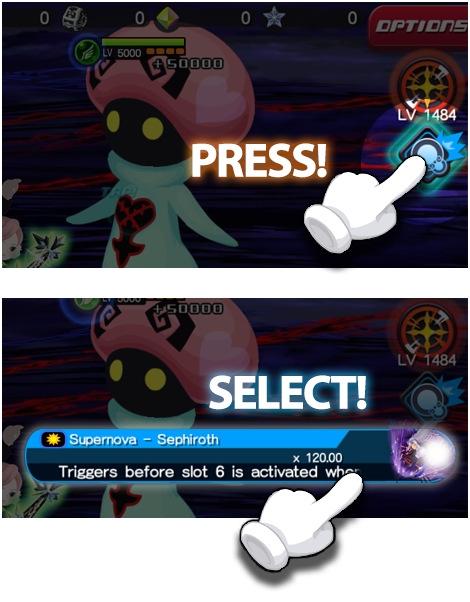 * Supernova is affected by keyblade slot boosts and buffs from Special Attacks. However, Supernova is NOT affected by Special Attack Bonus or skills. 7★ Prime - KH Cloud is also available from this Deal! Get it within 5 draws from this new Medal Deal! Each time you draw from this Deal, you are guaranteed to receive one 6★ Prime - KH Cloud and one Trait Medal #48! As you're guaranteed to receive a 6★ Prime - KH Cloud Medal each time you draw from this Deal, you'll be able to take full advantage of the 7★ version's 5 trait slots!! 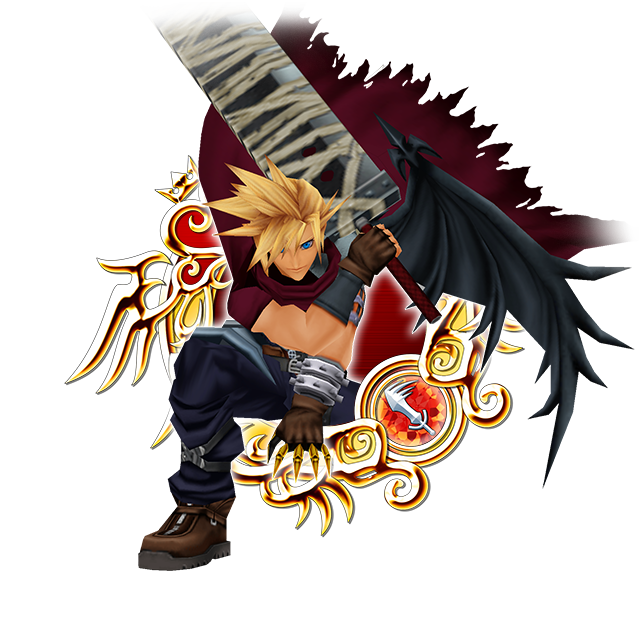 NOTE: The 6★ version of Prime - KH Cloud will have 3 trait slots. 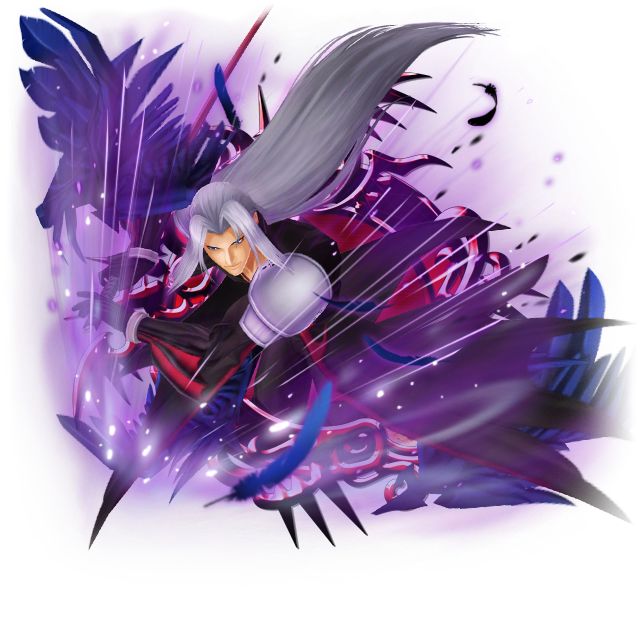 ・Supernova - Sephiroth will gain a new trait. 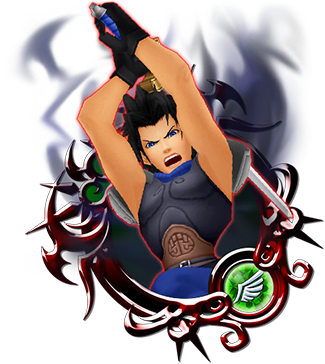 * Damage multiplier listed applies to a version of this Medal with a maximum Special Attack Bonus. NOTE: Should you use multiple Medals that grant an increased SP attack bonus during the same turn, the effect will not stack. For example, should you use a Medal that grants "SP attack bonus +15%" and a Medal that grants "SP attack bonus +30%", these effects will not stack; rather, the higher value (+30%) will take effect. A New Friend? story event has updated with 10 new quests! Clear the objectives for the final quest to get the Black Afro Spirit Part. Sep. 29 ～ Oct. 5 10 new scenario quests will be available! Oct. 6 ～ Oct. 12 10 new scenario quests will be available! Oct. 13 ～ Stay tuned for further updates!